William Collins is currently the Director of the Center for Educational Outreach at the University of Michigan. From 1992–2008, he served as Director of the Comprehensive Studies Program and as Adjunct Associate Professor of Psychology at the University of Michigan. William has previously served as the Director of the Learning Skills Center at Cornell University and as Staff Psychologist and Assistant Professor of Psychology at the University of Wisconsin-Stevens Point. 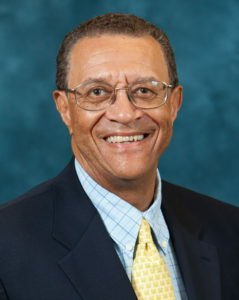 A native of Detroit, Michigan, Collins earned his bachelor’s degree and his Ph.D. in Psychology from the University of Michigan. He is a member of the Association for Psychological Science, the Society for Personality and Social Psychology, and the Society for the Psychological Study of Social Issues. He is also a member of the Executive Committee of the Council on Engagement of the Association of Public and Land-Grant Universities.